When babies are ripped away from their parents and put in cages, immigrants are attacked on every conceivable level and Muslims are banned from the country, civil disobedience is a duty. Sign onto our petition and write a comment letting the Dems know that we need more leadership like Maxine Waters to fight hate. We can no longer allow the Democrats to continue business as usual in the face of hate. Civility will not save us against a racist political agenda that actively seeks to harm Muslims, immigrants and children. The attack on Maxine Waters both by the GOP and the Dems is fueled by anti-Black racism and a desire to put her in her place. But Maxine Waters is exactly the kind of leadership we need right now. Rep. Maxine Waters is calling on us to become our own heroes. 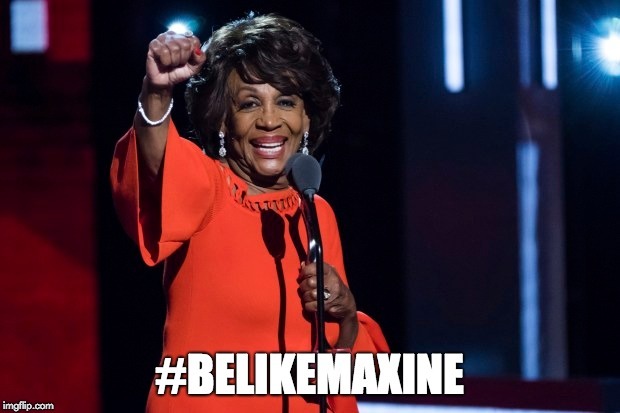 We can start today by letting the Dems and GOP know that we have Maxine's back, and we will not back down. Any comments you leave will be shared with Maxine Waters, Pelosi, Schumer and other members of congress. We are demanding that, on behalf of the people, the Dems drop this false solution of civility, support Rep. Maxine Waters and show up for the people.